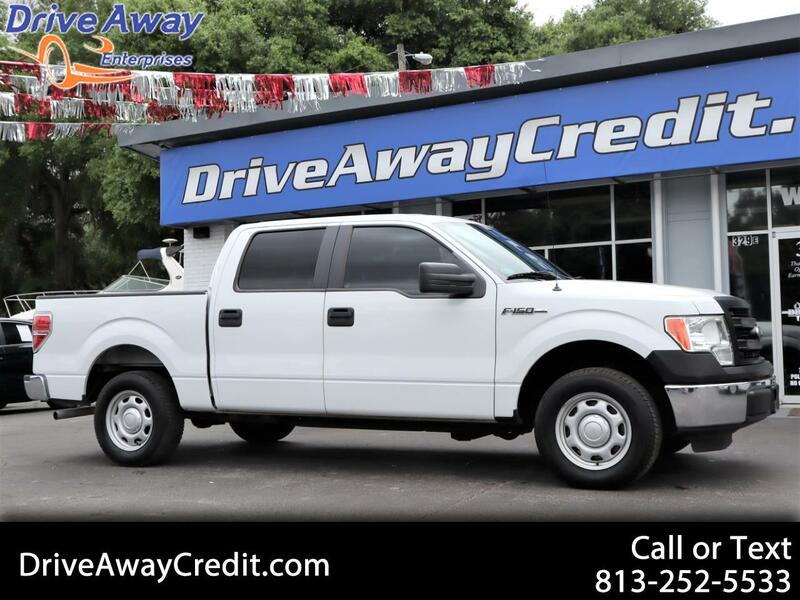 Presenting our versatile 2014 Ford F-150 XL SuperCrew 4X2 shown in Oxford White. This handsome truck has a get-it-done attitude boasting a 3.7 Liter V6 that offers 302hp on demand. Paired with a 6 Speed Automatic w/Tow/Haul Mode, this Rear Wheel Drive workhorse offers 23mpg out on the open road as well a smooth and quiet ride. Our Ford Tough F-150 is one of the top-selling full-size trucks on the market today due to its reliability and performance. You'll enjoy best in class in towing and payload capabilities as well as attractive style that commands attention. The cabin features easy-to-use technology and durable materials that can handle your lifestyle. You will find comfortable seating for your crew, an easy to read display center, and great storage spaces. Ford lets you tailor fit your truck to meet your needs and budget and owners like you love the flexibility. With this XL, you are good to go with a superb, reliable truck for a great price! With our Certified Limited Warranty we make sure you enjoy your vehicle to the fullest. Our Certified Limited Warranty provides you the peace of mind of knowing that you are protected against the cost of covered breakdowns and comes with 24-hour roadside assistance. When you buy a vehicle from us, you can rest assured that your vehicle is protected. Please see dealer for complete list of details.